This stunning reserve, ideally located on the border of South Africa and Botswana, charms its guests thanks to its amazing views over the surrounding valley and over the Dwarsberg Mountians, but also thanks to the exquisite welcome of the lodge owners. The property features four dining areas, a stunning library, a large living room perfect for gatherings and a bar to relax and enjoy your favorite cocktail. Every bedroom is open-air and, being that they are all far from each other, they guarantee perfect privacy. The crowning jewels of the lodge are the two infinity pools and the spa, located on the highest deck for perfect wildlife viewing. If you think that luxury and safari lodges don’t go hand in hand, think again: Makanyi Lodge brings you the best of both worlds. Located in a beautiful area close to the Kruger National Park, this property is all about the details: from the stylish furniture to the uniquely shaped pool, everything is designed to please the eye. The main living area features comfortable couches, an imposing fireplace and a bar, perfect to linger and have a drink after a long day of exploring the surrounding area. All the bedrooms offer stunning views and a private deck to take in unforgettable African sunsets. 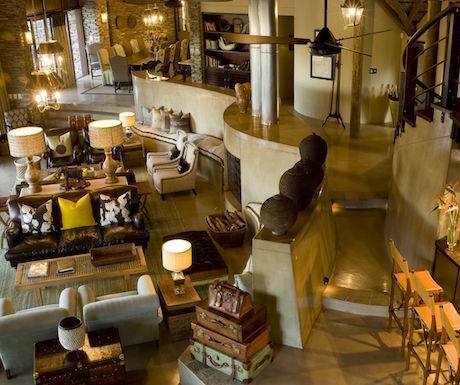 This exclusive safari lodge, located in a completely private 20,000-acre estate in the Waterberg Mountains, is surrounded by wilderness and guarantees perfect privacy to its guests. Furnished and decorated in African style, the cottages that serve as private suites all have their own private deck with amazing views of the forest, while the large lounge areas, the bar, the fire pit and the heated swimming pool are ideal to gather and socialize, making Leobo perfect for large groups of friends or family vacations. 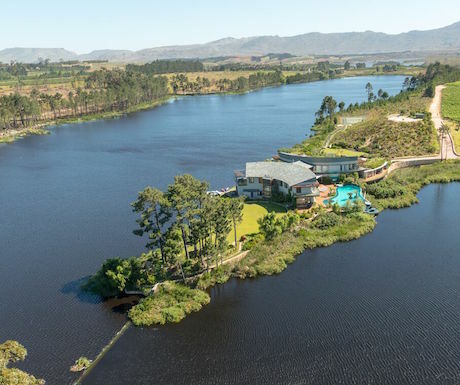 A beautiful estate on the banks of the Palmiet River, Lothian has its own private lake in the Elgin Valley but is reasonably close to Cape Town. Surrounded by perfectly manicured gardens and orchards, this property offers its visitors every luxury and the chance to have fun with a wide variety of activities, from riding horses to jet skis, ski boats and paddle boards. Of course the estate also features a stunning infinity pool, the ideal place to relax at the end of a fun-packed day. Located within the Borana Conservancy, Sirai House is a luxury lodge close to Mount Kenya, perfect for those looking for an elegant property. The house itself offers everything a traveler can expect from a luxury estate: the latest entertainment facilities, a home cinema and a stunning swimming pool. Its outdoor areas, too, are a gem: the verandah, with its comfortable loungers, is the ideal place to relax and enjoy the views, while a croquet lawn, boule pit and the horse stables are perfect for those who want to partake in some sport activities. Travel is my hobby and i always prefer luxury accommodations,the lodges share by you are very beautiful, i really enjoyed the post. These look stunning! 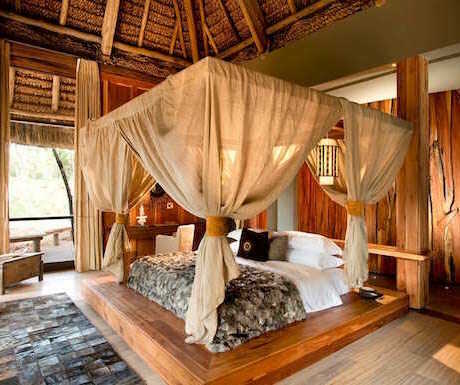 I’d love to stay in one of these beautiful lodges, especially the Makanyi. The main living area features are so intriguing and interesting. I’d love to spend hours in there. Lothain Estate looks like a complete package which is on the River Banks with a Private Lake Infinity Pool perfect for a water start sign like me. 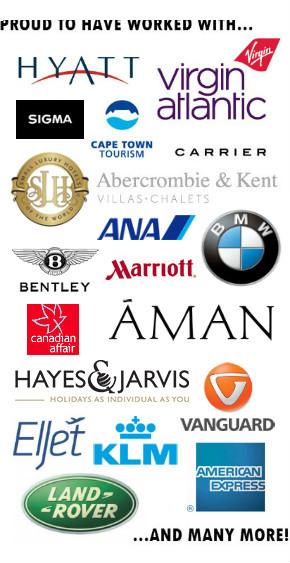 Proximity to Cape Town and other adventure activities are like cherry on cake.thanks Paul for this light on Safari Vaccation. These photos are truly stunning and really go a long way to advertise this luxury destination. What a lovely choice of five luxury lodges to stay in, allowing one to completely unwind and get away from it all! 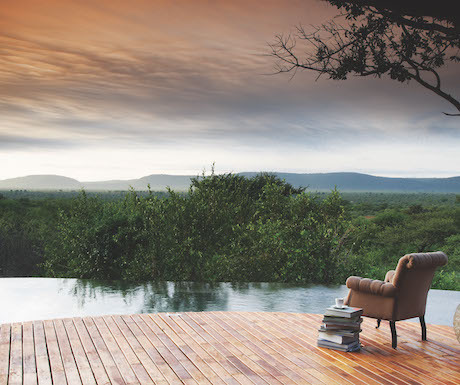 My favourite has to be Molori Lodge but they all sound so good and luxurious – all with pools & beautiful views. Perhaps one day!